When make-up brands release new mascaras which claim to be even bigger and better than the last ones, I have to admit that I've never been that bothered about trying them. Normally when new products are released, I'm straight up the shops trying them since I brought my Rimmel Scandaleyes Flex Mascara back in November last year, no other mascara has compared and I've been quite happy to keep re-buying. Until recently!! 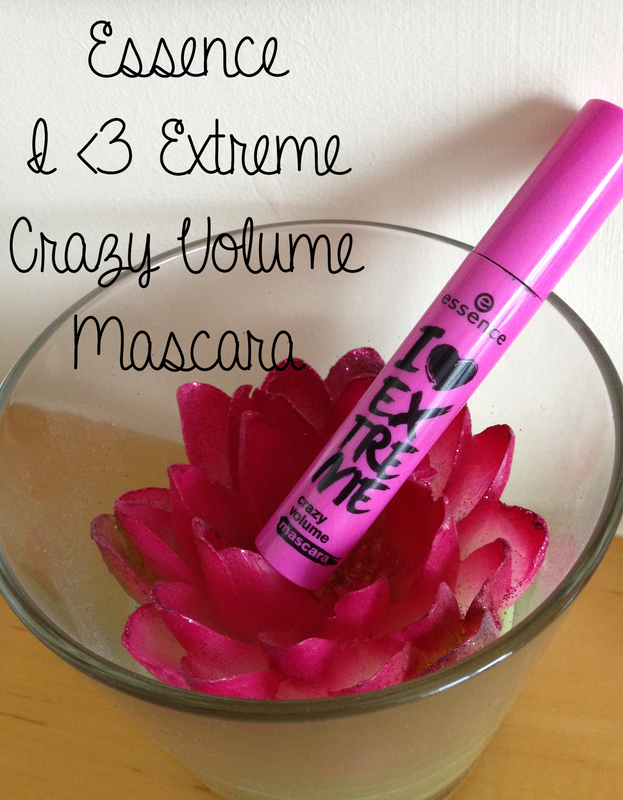 In my August Glossybox, I was sent the Essence I ♥ Extreme Crazy Volume Mascara. I'd heard of the Essence brand before and I was super jealous that I didn't have anything myself so I was very excited when I saw this was in my box. When I opened the mascara I was a little put off as I'm not keen on the plastic comb wand mascaras as I think they clump a lot more than brush mascaras but I persevered and gave it a try anyway! As you can see from the pictures above, there is a big difference in my lashes. Like I said above, I was a little put off because of the type of wand it is but it has honestly proven me wrong. I do have off days with it where I'll put just that little too much on and it clumps and goes all "spider legs" but other days it goes perfect! The formula was long lasting and when it came time to go to bed, I had a right fight trying to scrub it all off! Overall I was really impressed with the mascara itself and even more so when I found out that it's only £2.80 (based on Wilkinsons) to buy! I was more impressed by this mascara than I was with the Benefit They're Real Mascara which is nearly £16 cheaper! I would definitely recommend people to try it and even if they don't agree, they still haven't exactly broke the bank to afford it. You can check it out yourselves on the Essence website, where it also tells you which stores stock Essence makeup!